Vouchers are always a fine way of attracting new customers and bringing back existing customers. Shopware offers several types of vouchers. You can create a universal voucher code that could be used, for example, in various Facebook promotions or print advertisements. Alternatively, you could create customized vouchers for your newsletters. You can also use customized vouchers which can be automatically sent as a "thank you" or birthday gift. To create a new voucher, go into Marketing/Vouchers in the backend and click on the Add button. Fill out the Description (1) field with the name of the voucher. In the Voucher code mode (2) selection box, you must decide whether the voucher will be General or Individual. Selecting General will generate one voucher code which will be available for all customers to use. 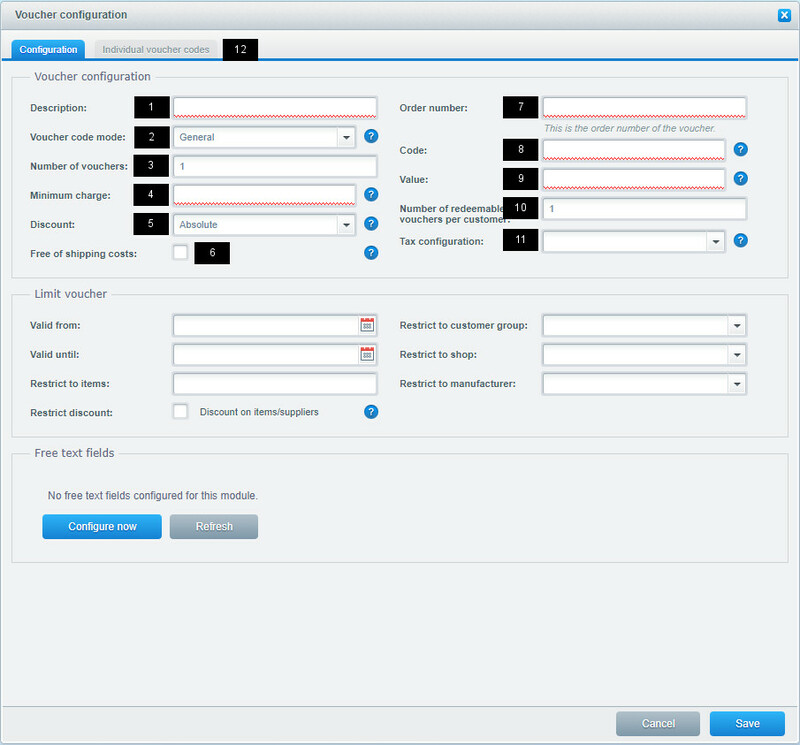 Selecting Individual generates separate codes for individual customers. These voucher codes are perfectly suitable for use in newsletters. If you are creating a General voucher, Number of vouchers (3) will determine how many times the voucher can be redeemed. If you are creating an Individual voucher, Number of vouchers (3) will determine how many individual codes, and thus vouchers, will be generated. The Minimum charge (4) field contains the minimum purchase value that the customer must reach in order to redeem the voucher. The minimum charge must be greater than or equal to the voucher value. Next, in the Discount (5) field, select Absolute if the voucher should deduct a specific amount, and Percentage if it should deduct a specific percentage. The Free of shipping costs (6) box designates whether the voucher subtracts any shipping costs from this order. Next, create an Order number (7), which will be displayed in the shopping cart and order confirmation. This will also be transferred to external merchandise management systems (MMS) for accounting purposes. If you've decided to use a General voucher code, you can define the Code (8) with letters and numbers. This code will be used as the voucher code. Customers can redeem this voucher by entering the code in their shopping cart. You may enter as many digits as you wish for the code. The Value (9) field defines the total amount of the deduction (whether absolute or as a percentage). The Number of redeemable vouchers per customer (10) can be used to limit multiple uses of the voucher code by the same customer. If you've decided to use an Individual code, the fields Code and Redeemable voucher per customer will be hidden. All other fields must be filled out, except for Number of vouchers. Once you've completed all fields, click Save. 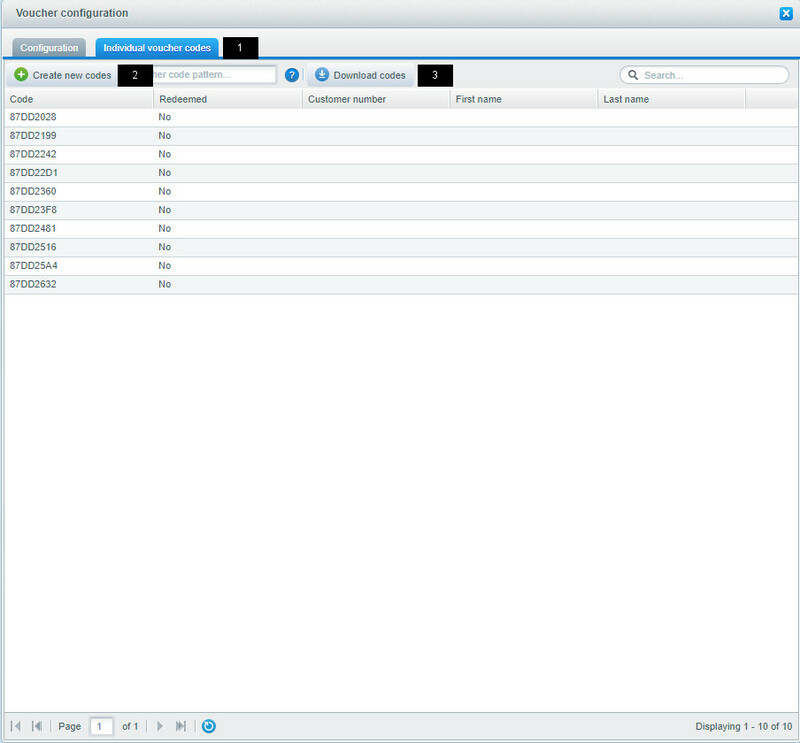 This also activates the Individual voucher codes (12) tab, which will be used to generate the individual voucher codes. Click on the Individual voucher codes (1) tab and then click Create new codes (2). 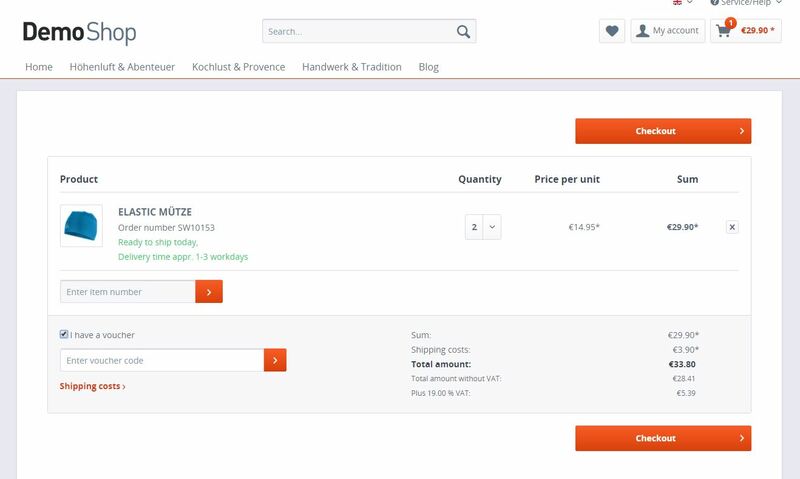 Shopware will then create a table of voucher codes, the amount corresponding with what you entered under Number of vouchers in Configuration. This table can be downloaded as an excel file by clicking the Download codes (3) button. This table also shows you how many codes have already been used and by which customer (displayed by customer number). 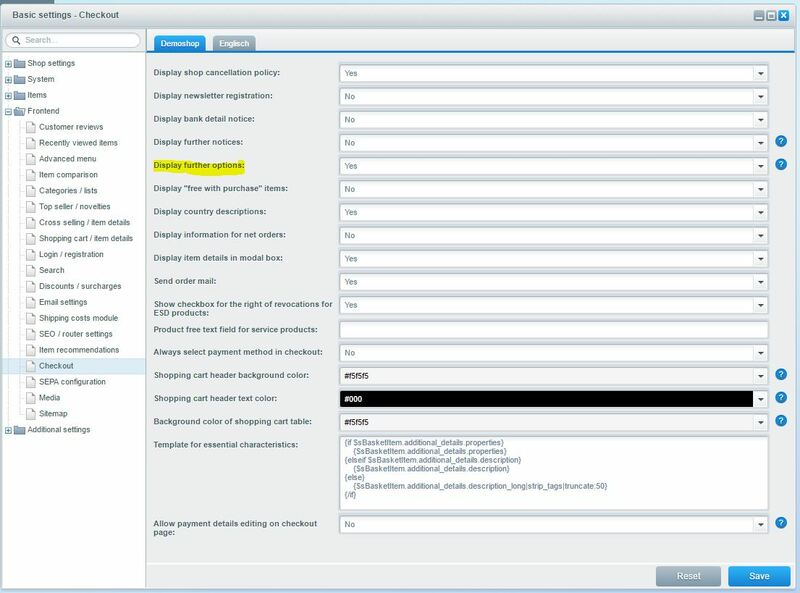 Shopware offers a number of options to limit the functions of a voucher. You can offer your voucher for a limited time period by filling in the date fields Valid from (1) and Valid until (2). Notice, that until Shopware 5.2.7 the "valid until" means, that the voucher is invalid at this day. Since Shopware 5.2.8 the voucher is valid the whole "valid until"-day. 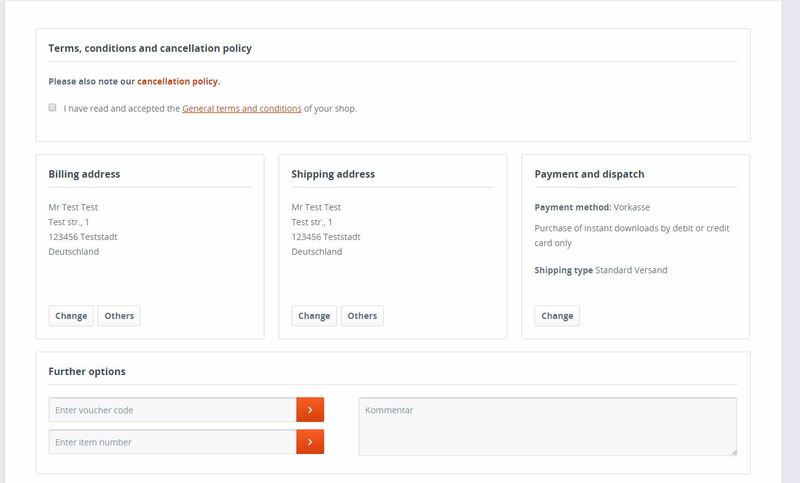 Special voucher items can be selected by using the Restrict to items (3) field. Enter as many item numbers as you wish, each item being separated by a semicolon. The checkbox Restrict discount (4) can be used to limit the voucher to designated items or manufacturers. 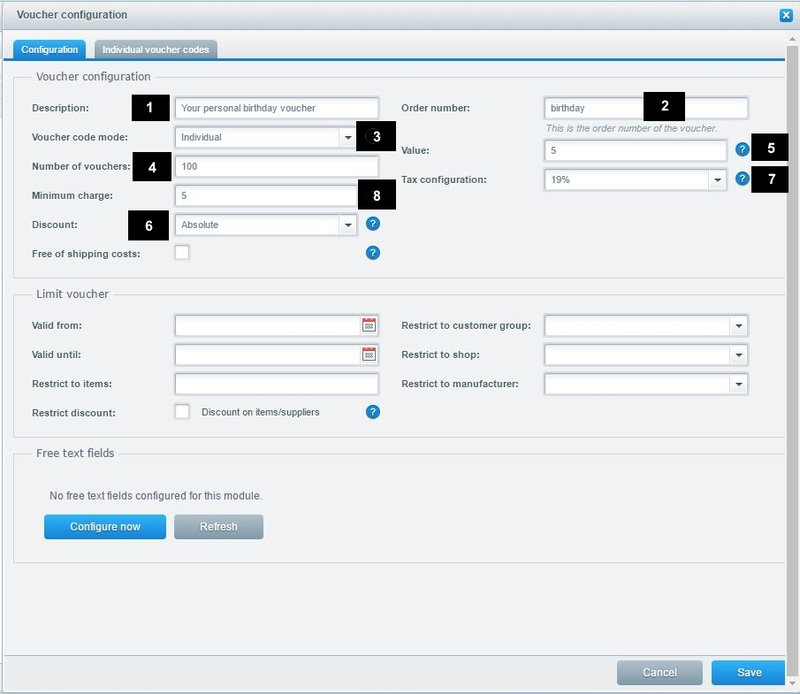 If you want to create a voucher for a special customer group or subshop, you need to select the customer group from the drop-down menu Restrict to customer group (5) or Restrict to subshop (6) respectively. 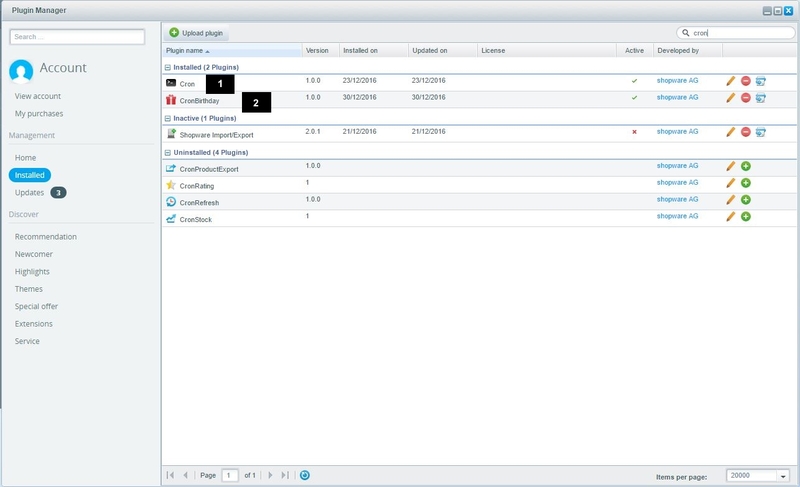 A restricted manufacturer can be selected via the corresponding pull-down menu in the Restrict to manufacturer (7) field. In the standard the field for voucher codes is not shown during the checkout process. To enable it, go to basic settings, Frontend, Checkout. There is an option called "Display further options". After that your customer is able to enter his voucher code at the end of the checkout. Shopware is able to send an email with birthday wishes via cronjob automatically. Optionally you can offer the recipient an individual voucher code as a birthday present. Make sure, that, if you assigned a birthday voucher for the email template, you have enough free voucher codes, otherwise the cronjob won't send the emails! Also keep in mind, that it's your choice to use the voucher code in the email template or not. The email with the birthday wishes is only send combined with a voucher code. If there are no voucher codes available the email will not be send. The voucher codes are set up in the backend at "Marketing > Vouchers". There you click on "Add". Now enter a "Description(1)", for example Your personal birthday voucher. As Order number (2) you have to enter the value birthday (lower case!). The Voucher code mode (3) has to be Individual. Next you have to enter the Number of vouchers, in our example we created a pool of 100 birthday voucher codes. Then enter the Value (5), e.g. 5. The discount can be set absolute (fix value) or percentage (depending on the order value) (6). In our example we offer the recipient a discount of 5 Euro as a fix value. If you want to charge tax, choose the desired Tax configuration (7) for the voucher. The voucher value will be subtracted if the Minimum charge (8) is reached. Keep in mind, that the minimum charge must be at least the same value as the vouchers value. (in our example at least 5). In our example we choose to not restrict the voucher. Now save your settings and switch to the tab Individual voucher codes. For making sure, that your voucher has enough codes for the desired number of usages, you have to create the codes now. Just click on Create new codes (1). There will be exactly as many codes generated as you selected previously in the configuration of the voucher. The email template gets the next unused code out of this pool and adds it to the mail. Basically relevant is the number of your customers / newsletter receivers and the interval in which you want to create new codes. If you have 500 customers and want to generate new voucher codes every year then you should generate at least 500 voucher codes. You need the template "sBIRTHDAY" which you can find at Configuration > Email templates > System emails. The sender email as well as the sender name will be used from the system configuration by the given variable, but you can overwrite those values if you want to. In the plain text you can enter your desired text as well as the voucher code for the customer. For use dynamic content, feel free to use the available variables as a placeholder. For your personal anniversary we thought of something special and send you your own birthday code you can easily redeem in your next order. Which pluigns do you need? 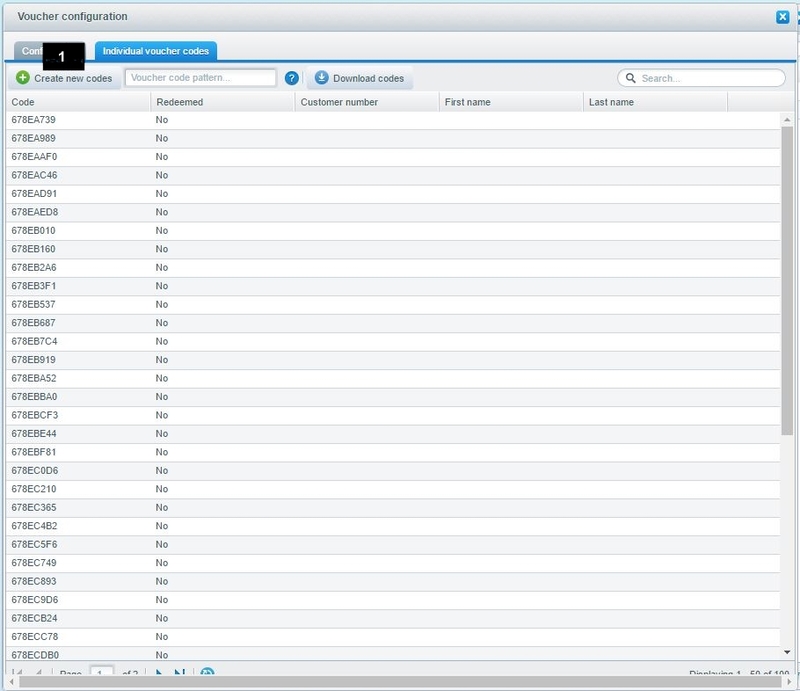 The needed plugins just comes with Shopware and can be found at Configuration > Plugin Manager. 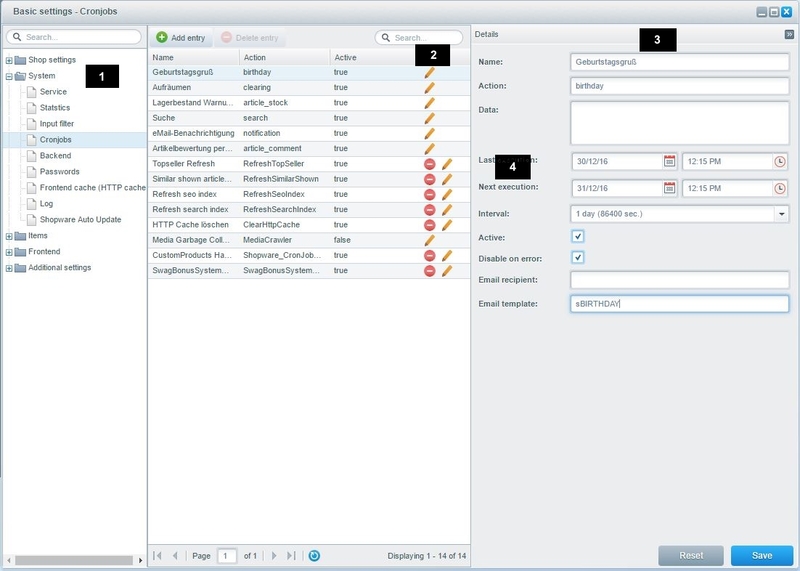 Just open the overview of the installed plugins and search for "cron" in the top right corner, so all available cron plugins are displayed. To make sure the birthday email can be send you have to make sure that the plugins Cron (1) and CronBirthday (2) are installed and activated. 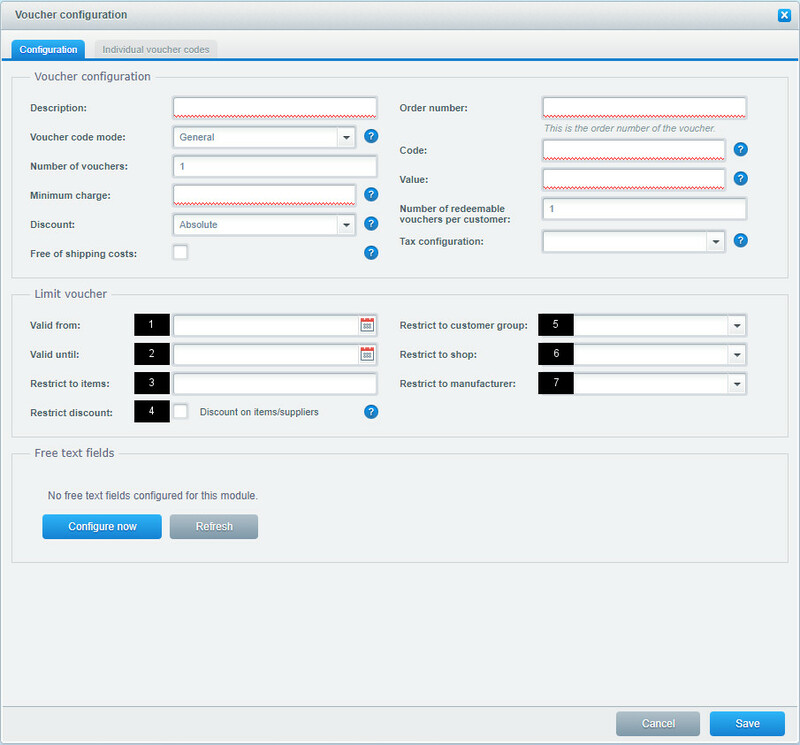 Only this way you can open and configure the cron settings in the basic settings. Install and activate those two plugins. Only if the plugins are listed at "Active plugins" they can be run correctly. At Configuration > Basic settings > System > Cronjobs you find the cron Geburtstagsgruß (1). By clicking the Edit pencil (2)the Details window (3) appears. The birthday mail is only send if the date and time of the Next execution (4) has been reached. This time means the webserver time, so make sure your webserver has the right time synchronized. The interval for this cronjob should not be smaller than 86400 seconds (1 day), otherwise the cronjob could be sent multiple times. You can start the cronjob execution by opening the following url in your browser: "backend/cron" or via shell using bin/console sw:cron:run. Further information regarding cronjobs can be found here.